"The secret of the care of the patient is in caring for the patient." Wisdom Guide™ Dr. 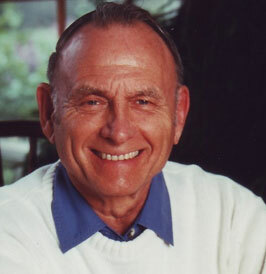 Norm Shealy is one of those rare individuals who manage to posses a broad and balanced holistic perspective. He is fluent in a wide range of medicine and science from his root practice in neurology to his work with energy medicine and holistic wellness in which he embraces the powerful role of mind, body, spirit and nature. His outgoing, generous persona includes “hugs” for people, affection toward animals, and a devotion to educating through every medium – books, classes, workshops, radio, internet and videos. That was the start of my looking to Dr. Shealy as a mentor for a book I am writing called Seven Days to Health. I visited him at his farm, healing environment and Holos in Missouri and I look forward to continuing opportunity to learn from him. My words can not cover the breadth of Dr. Shealy’s valuable offerings. I encourage you to learn more about him from his websites. Sign-up for his newsletter, click on his audio and video links, and try to travel to any of his rewarding workshops, read his books, and BE INSPIRED by him and his ideas as I am! Take responsibility for your own health, a theme he has stressed for years in all this Self Health outreaches.